We were exploring a cemetery with family graves up on a hill above Glasgow near the Gallowgate when we saw the smoke. 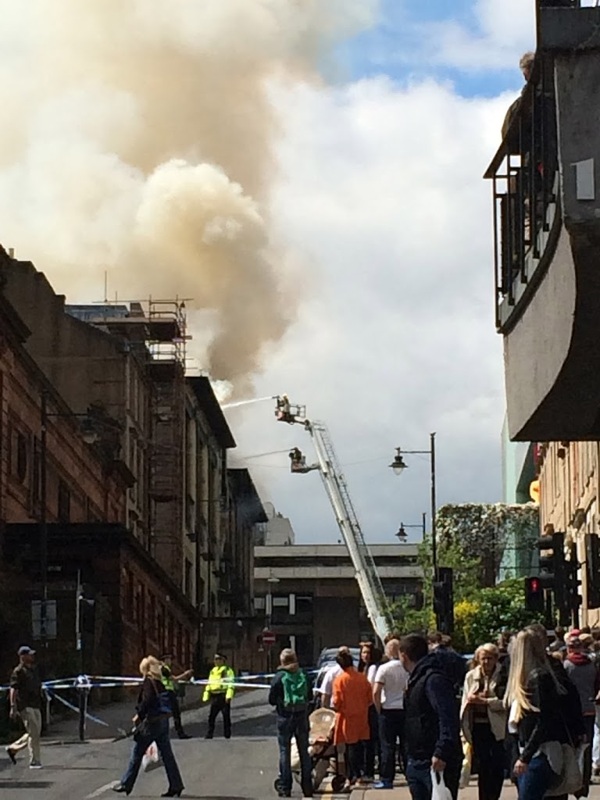 Later we drove into town to do some shopping on Sauchiehall Street and discovered that the Glasgow School of Art was on fire. It is a stunning building, a centre piece of the work of Charles Rennie Mackintosh and a working building where many people I know did their art degrees. 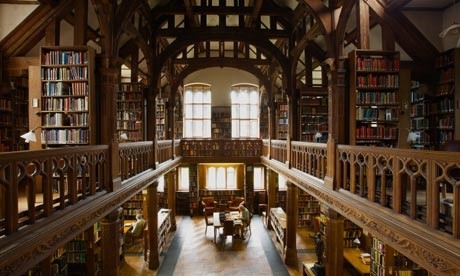 I visited it over 12 years ago and took the tour around the famous library. I always remember seeing students using beautiful Mackintosh chairs to stand on while hanging works on a wall. I wasnt a museum but somewhere living and vibrant but also a work of art in its own right. 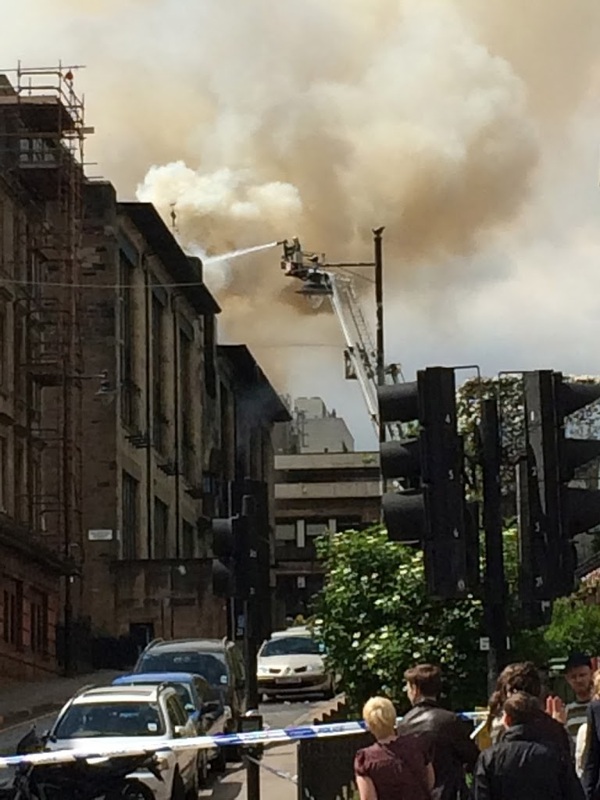 It seems the fire started in the basement and that the building is mostly saved. But the damage inside must be massive. A couple of hours later when we passed again it was still burning and the firemen were still on ladders soaking it from giant hoses. I don’t think the library has survived. I’ve never been there, but that can only be truly sad.